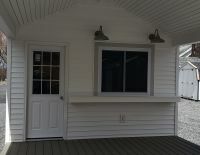 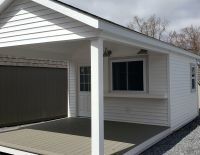 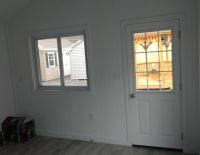 12 x 24 Pool House, Open deck area is 12' x 12' with gray composite decking, 2x6 floor joist, vaulted ceiling both interior and exterior spaces, 9 lite fiberglass pre-hung door leading from porch into interior space. 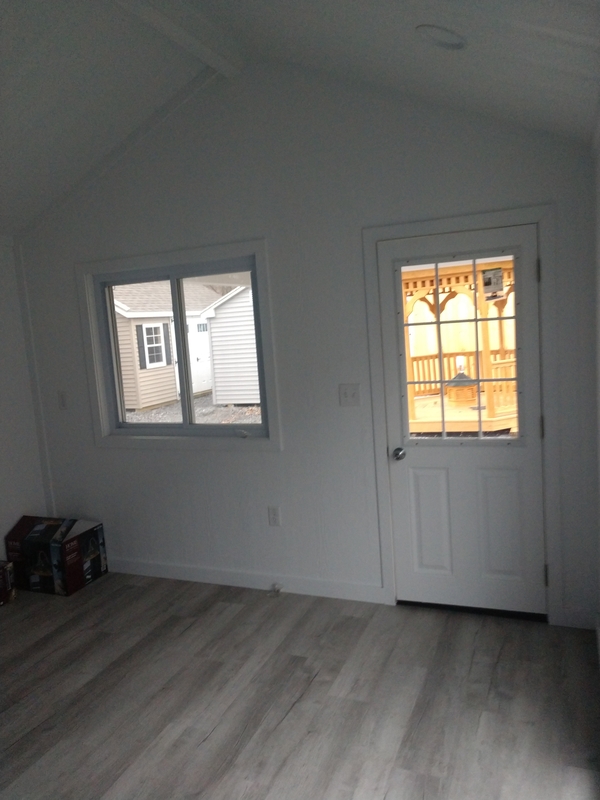 12' x 12' interior space is insulated and finished with pine T&G wood with a partitioned off changing room, sliding pass thru window with 10" deep Azak counter and lighting above counter. 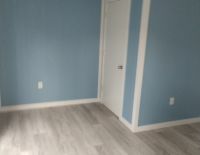 Electric package in both areas with breaker box. 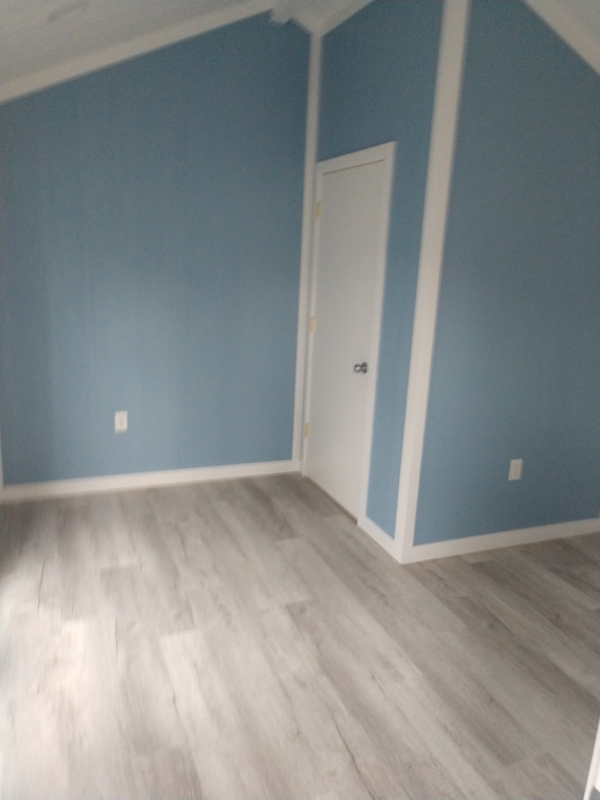 Interior floor is gray wood tone vinyl tile also has 5' wide double French Doors that open into the interior from the outdoors.